Do you know the secrets about the human liver anatomy? Which is the hottest internal organs with incredible regenerative capacity? What if 75% of the organ is lost in a disease? Synthesis of Glycoproteins, Enzymes, etc. Skin is the largest organ, whereas liver is the largest internal organ and the largest gland in the human body. Precisely, it is one of the most fantastic organs of your body. Here, you will get useful and interesting information about the liver size, location, function, diseases and risk factors for liver disease. 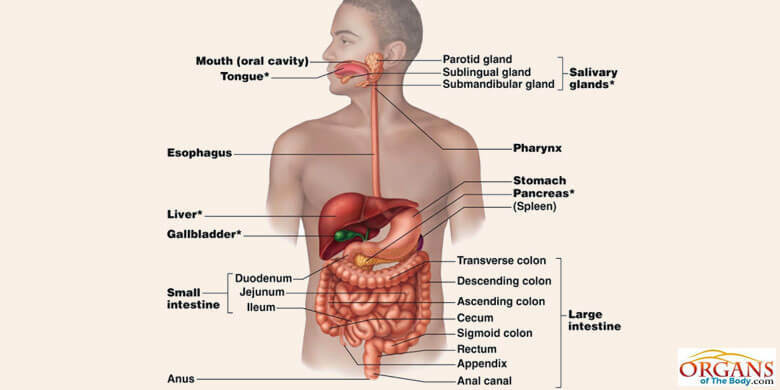 The largest internal organ, liver appears in the right upper quadrant of the abdomen. It lies just beneath the right side of the diaphragm and under the right lower rib cage. Concerning human liver anatomy, there are eight functional segments in it. Within a minute, approximately 1500 ml of blood flows through the liver. This is so to ensure its efficient working. 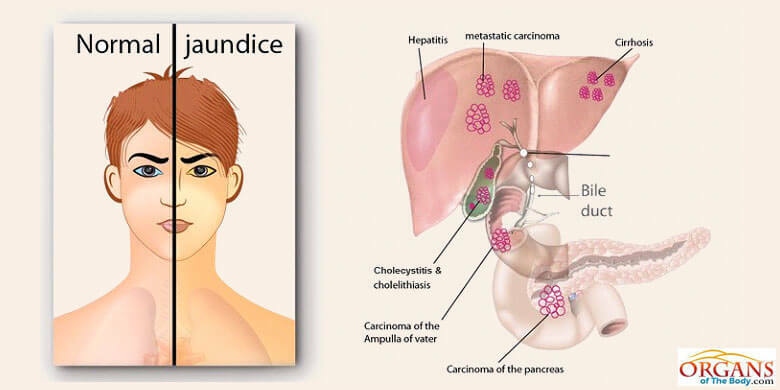 Partly due to its ample blood supply, liver is the prime site for metastatic spread of cancer. A thin double-layered membrane makes a covering around it. You call this covering the peritoneum. It is this peritoneum which minimizes friction of the liver against other organs. This glandular structure, in the abdomen, has potential to perform over 500 different functions. All these functions are of vital importance for the body. The job of the organ ranges from acting as storehouse for different substances to making important secretions. Interestingly, the hepatic secretions are of both endocrine and exocrine nature. However, the primary job is to purify the body from different harmful substances, for example, toxins. On the other hand, as a gland, it secretes chemicals in the form of bile or liver juice. Bile contains salts that neutralize the acidic food coming from stomach. Meanwhile, the bile juice also helps in the digestion of fats. In the presence of bile salts, the fatty substances break down into smaller, simpler pieces. Afterwards, these small particles move into the blood across the wall of small intestine. 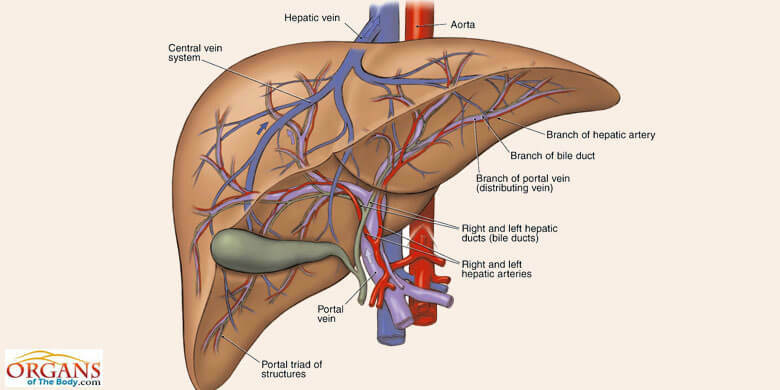 Here follows a brief description of some of the major functions of the liver. The liver function requires it to serve as a filter between the blood that comes from the gut and the blood that circulates in the rest of the body. It clears the bacteria, antigens, damaged cells, proteins, hormones and drugs from the portal circulation. From the variety of the functions of the liver, it becomes obvious that your body cannot afford any disorder of this organ. Its malfunctioning can have drastic effects on overall health of your body. Liver is the organ which receives almost all the nutrients that come from our digestive tract. However, chylomicrons are an exception, i.e. the liver does not process them. Chylomicrons are a type of complex lipids. These are mainly the lymph vessels that transport them across different parts of the body. Liver processes all the nutrients present in the food we eat. The energy is stored. On the other hand, when necessary, it mobilizes the stored energy for use throughout the body. 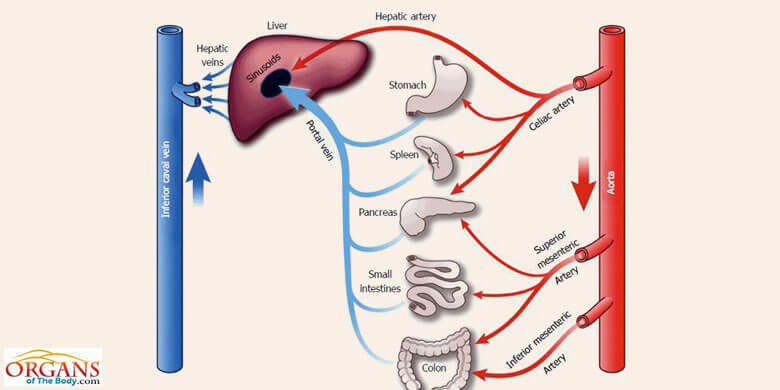 So, in a sense, liver acts like an interface between the circulatory blood and the digestive system. The liver is a storehouse for large quantities of blood. When the total volume of the blood increases in the body, the liver quickly expands to store it. In other words, it can act like a blood reservoir. In instances of cardiac failure, there is high pressure in the right atrium of the heart. Such a condition causes back pressure in the liver. This forces the liver to expand. The liver can then store about 500 to 1000 ml of extra blood within its own tissues. The liver can also supply the body with this extra blood in times of low blood volume in the body. The liver plays a key role in carbohydrate metabolism by converting glucose to glycogen. In this way, it prevents hyperglycemia or high blood glucose after a meal rich in carbohydrate. Liver converts the stored glycogen to glucose and releases it into the blood. This conversion occurs in response to low blood glucose level. So, your body can maintain a stable blood glucose level during fasting state and between meals. When there is a decline in the blood glucose level, the stored sugar is converted into functional sugar. Sometimes, there are no glycogen reserves left in the body. In such a situation, liver comes to play its role. It can also convert non-carbohydrate compounds such as lactic acid, amino acid to glucose. Unreasonably high output of hepatic glucose occurs in patients with diabetes mellitus. Consequently, there is disturbance in the functions of the liver. Certain antidiabetic drugs are useful to reduce hepatic glucose output. Liver synthesizes various plasma proteins. They include albumin, blood clotting factors, apolipoproteins, angiotensinogen and insulin, etc. The blood clotting factors are: fibrinogen, prothrombin, and factors v, vii, ix, x, etc. 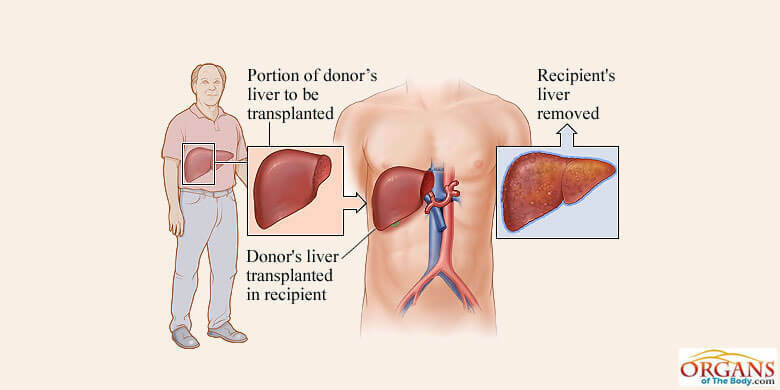 Liver replaces the plasma proteins in days to weeks after a major blood loss from the body in case of an accident. Functions of the liver also include the synthesis of various important compounds in addition to plasma proteins. Synthesis and secretion of transferrin, globulins and other such compounds also falls under the domain of liver. One of the functions of liver is to detoxify poisons and drugs. It involves the phase l and phase ll biotransformation reactions. If these poisons and drugs keep on circulating in the blood, they would harm and damage different delicate tissues and organs. They can also have severe effects on the heart muscles. It will eventually lead to the malfunctioning of this vital organ. So, detoxification of drugs and poisons is an extremely important liver function. Liver removes ammonia from the blood by converting it to a less toxic compound, urea. Accumulation of ammonia and other toxins may eventually cause hepatic encephalopathy (confusion and coma). In liver cirrhosis, there is an increase in the blood ammonia to toxic level. This occurs due to disturbance in liver function. Synthesis and secretion of very low density lipoproteins (VLDL). Clearance of High density lipoproteins (HDL), Low density lipoproteins (LDL) and chylo-micron remnants. Metabolizing alcohol to acetaldehyde is another liver function. The excess amount of alcohol is directly toxic to the liver cells. The production of acetaldehyde occurs through the action of the enzyme alcohol dehydrogenase on alcohol. Interestingly, acetaldehyde is more toxic than alcohol itself. The International Agency for Research on Cancer (IARC) has included acetaldehyde in the list of the Group 1 carcinogens. As one of the functions of the liver, it plays a central role in the synthesis, secretion and metabolism of bile. Bile is a fluid that may vary in color from dark green to yellowish brown. 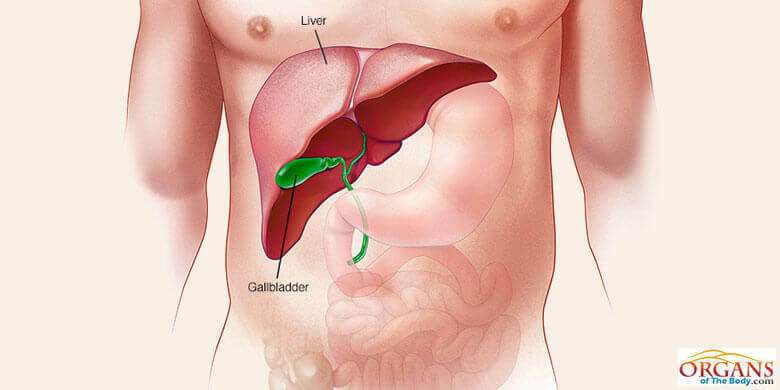 The gallbladder stores and concentrates the bile. The bile contains bile salts, inorganic salts, fats and bilirubin. This hepatic secretion aids in the digestion and absorption of dietary fats across the wall of small intestine. It is also a major excretory route for lipid-soluble waste products. The uptake and storage of vitamins A, D, B12, folic acid (a B vitamin) and iron is also a liver function. The body uses these vitamins at the time of need. Liver stores certain minerals such as iron and copper. Iron is an essential ingredient for blood production. Most of the body’s iron occurs as a part of hemoglobin and myoglobin. Here hemoglobin is an oxygen carrying protein while myoglobin is the oxygen-binding protein in muscle cells. On the other hand, copper is a constituent of various proteins and metalloenzymes. In this capacity, the mineral plays an important role in the processes of development and proper growth. It is also useful for the maintenance of heart, brain, bone and other organs of the body. Your body should get rid of the old red blood cells that are of no use anymore. Liver performs the job of destroying the old RBCs. After that, it becomes easy for the body to remove them. 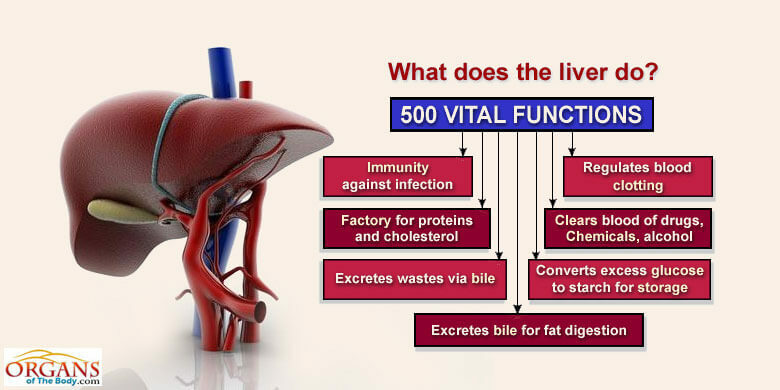 In short, the liver performs a great variety of tasks, ranging from the synthesis, storage and secretion to detoxification of harmful substances. Different secretions are of great metabolic importance. The liver function in digestion is also very significant. Initially, the healthcare providers apply several liver function tests for the evaluation of liver function and to determine different types of liver diseases. A single abnormal laboratory test value may not confirm a specific liver disease. That is why it is wiser to look for consistently abnormal lab values in more than one liver function tests. It is also essential to repeat certain tests on more than one occasion. In this way, you will get a diagnostic pattern. 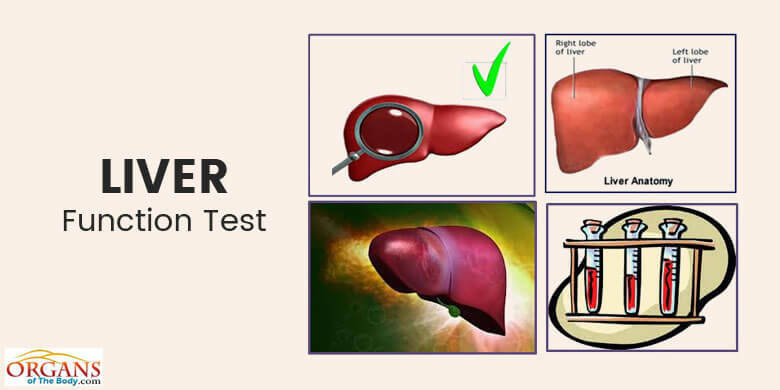 Followings are the liver function tests for different types of liver diseases. Other diagnostic tests may include ultrasonography and liver biopsy. Liver biopsy remains the most accurate means of assessing the severity and stage of several types of liver diseases. It is also a use-ful technique for diagnosis. Through this, you can also make a prognosis and monitor response to the treatment. Most cells in the liver are hepatocytes (around 60%). The remaining cell types are Kupffer cells, stellate cells, endothelial cells and bile ductular cells. When there is the loss of functional cells or hepatocytes, the growth factors and cytokines, etc. induce proliferation of the remaining liver cells. This is the very reason that when you surgically remove some part of the liver or it suffers from some damage due to any other injury, the remaining hepatocytes can trigger liver regeneration. Thus, you can expect the complete recovery from the injury. Many patients may not have the above symptoms. But, the biochemical liver test will help confirm the disease. By now, you must have realized how important it is to keep this organ hale and hearty. If anything happens to it, there would be disturbance in several vital functions of the body. As a part of special care of liver, you need to eliminate the risk factors for liver disease. Here follows a brief description of some of the common risk factors. Alcohol is the leading cause of liver disease in many parts of the world. Next comes the turn of hepatitis C and B virus infection. More than two drinks per day in women and more than three drinks per day in men can increase the risk of alcoholic liver disease. Everything that the nature has created has some benefits. But, its excessive and unwanted use can prove to be problematic. Smoking, recreational use of marijuana and snorting cocaine are potential risk factors for liver disease. The levels of lipids and lipoproteins in the blood may get abnormally high. This is the condition of hyperlipidemia. Such a condition increases the possibility for liver to suffer from a disease. There are individuals who have a family history of cirrhosis, Wilson's disease, hemochromatosis, diabetes or endocrine failure. This may also serve as a risk factor for the liver disease. Intimate or occupational contact with individuals suffering from viral hepatitis can be the cause of hepatic disorders. Accidental exposure to blood of a victim of liver disease will make you susceptible to the same condition. Sometimes, after surgical operations, the process of healing may go bad. In turn, this will affect the functioning of liver. So, after recent surgery, take special care of this organ lest you should contact a painful liver disease. Blood transfusion is the process of putting new blood into the body of an individual. The reason for getting blood transfusion is the recipient’s body is unable to synthesize sufficient quality or quantity of the blood. On the other hand, such an act is likely to increase the risk of liver disease. Sometimes, a healthy person makes sexual contact with patients of viral hepatitis. Consequently, they are very likely to get affected by the same abnormality. Summing up, if you want to enjoy the perfect health, take good care of the liver. It has a lot of jobs (over 500) to perform in your body. Any liver disease would render it unable to accomplish the essential tasks. Thus, there would be disturbance in many of your body’s mechanisms, putting your very survival at risk. You need to control the risk factors for liver disease. In this article, you will find a list of liver diseases of various kinds. But, it is not the exhaustive list. Here you will also learn about the liver disease symptoms, tests, causes and remedies. Jaundice is one of the common types of liver diseases that refers to the golden yellow appearance of skin and sclera. It results from too much accumulation of bilirubin in the body fluids. Jaundice is first noticeable in the sclera of the eyes. You call this yellow discoloration of the sclera as icterus. Jaundice is evident in skin when serum bilirubin level is 2.5 to 3 mg/dL. The most significant symptom is the yellowing of the skin and the sclera, the white part of your eyes. Abdominal pain which is characteristic of the blockage in the bile duct. Other symptoms include fever, fatigue, vomiting and the weight loss, etc. The hike in bilirubin level is actually due to the rapid breakdown of red blood cells. This occurs due to some disease and infection that also affects liver. So, the treatment of jaundice completely depends on the cure of underlying cause. In other words, you have to identify and treat the condition that is responsible for the higher level of bilirubin in the body. As the very name implies, drug-induced hepatotoxicity is one of the types of liver diseases which occur due to the effect of drugs on liver. Many drugs can harm the liver severely. Therefore, it is always wiser to consult a health professional before taking any medicine. And you should refrain from self-medication. Acetaminophen – The drug can cause necrosis or injury and death of the hepatocytes, the liver cells. Oral Contraceptives – Hepatic adenoma may result from the harmful effects of oral contraceptives. Halothane – The use of halothane puts the individuals at the risk of developing fulminant hepatitis. Sulfonamides – With the intake of sulfonamides, you may fall victim to granulomatous. Thus, the phagocytes are unable to kill some types of fungi and the bacterial species. Phenytoin, Isoniazid – These drugs can lead to the development of acute and chronic hepatitis. Methotrexate, Amiodarone – Different types of liver diseases, like fibrosis and cirrhosis may result from the use of methotrexate and amiodarone, etc. Chlorpromazine – If you take chlorpromazine, you would be at the risk of cholestasis. The overuse of alcohol can cause several types of liver diseases. They include the buildup of fat in the liver, alcoholic cirrhosis, alcoholic hepatitis, and so on. In comparison with men, women seem to be more susceptible to alcoholic liver injury. Alcoholic cirrhosis which develops in 15% of the alcoholics is the most common disease that requires liver transplantation in adults. Loss of appetite followed by the weight loss. Fatigue due to the lack of energy, and it can be debilitating. Appearance of the characteristic symptoms of the jaundice, for example, yellowing of the skin and sclera. Retention of fluid and inflammation in legs, ankles and the abdominal region, etc. The first step towards the treatment of this condition is to abstain from alcohol. However, the suggestion of a particular treatment strategy depends on the specific type of alcohol-related liver disorder. Nevertheless, in all such conditions, the cessation of alcohol is essential. In this way, you can prevent the liver from further damage. On the other hand, the use of medication will help liver synthesize its damaged cells. 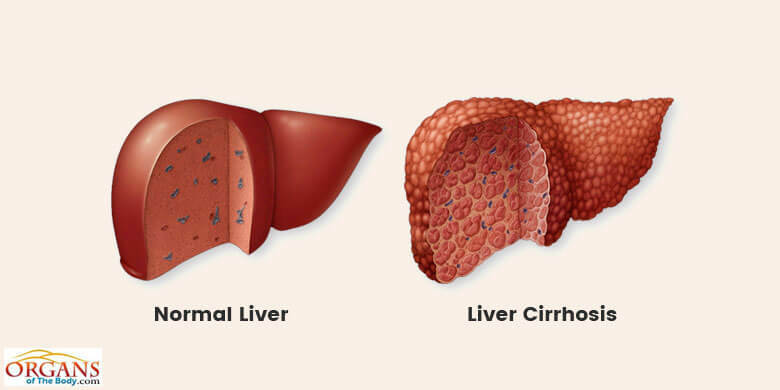 Cirrhosis is an end-stage liver disease. Here alcohol is the direct hepatotoxin. And it is the most common cause of cirrhosis in the western world. 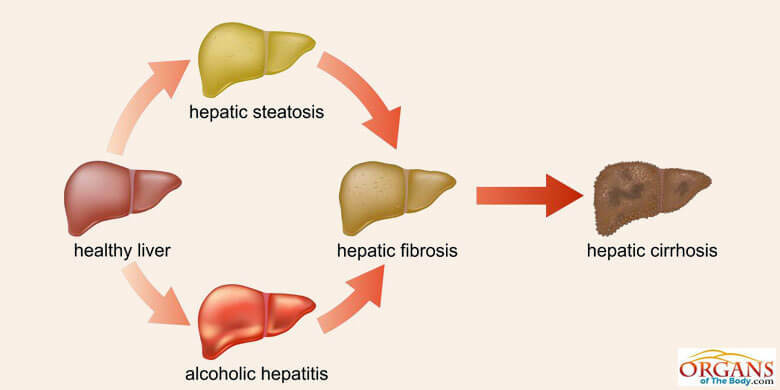 In cirrhosis, there is total disruption of the liver architecture due to fibrosis and nodule formation. This disruption in the liver architecture eventually interferes with liver blood flow and function. Too much consumption of alcoholic beverages. 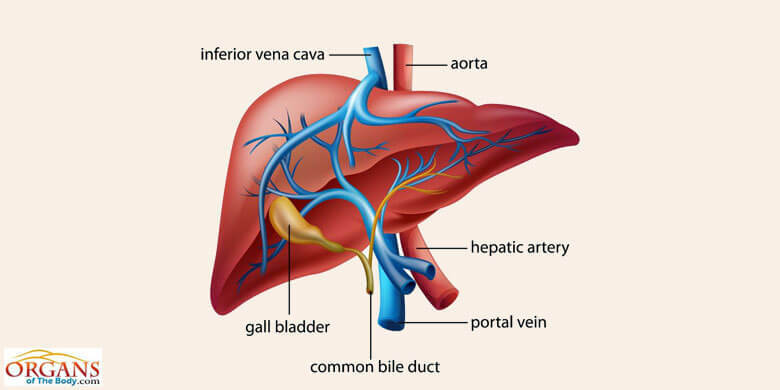 Blockage in the bile duct which may be due to some other liver disease. Buildup of fats in the organ. Chronic viral infections, for example, hepatitis B and C.
Usually, no medication can reverse the damage that has occurred to the liver due to cirrhosis. However, certain medicines can stop further damage to the organ. In this regard, the changes in lifestyle will also be helpful. Nevertheless, the best treatment option is to go for the liver transplant. It will restore the normal function of the organ. Hepatitis A, B, C, D, E – These are different types of liver diseases that occur by the at-tack of different types of viruses. For example, hepatitis A occurs due to hepatitis A virus, and the causative agent for hepatitis B is the hepatitis B virus. Fulminant Hepatic Failure (FHF) – FHF is the condition of acute liver failure which se-verely impairs synthetic function of the organ. Drug-induced Chronic Hepatitis – Excessive use of drugs causes inflammation of liver which may last for six months or more. Non-alcoholic Fatty Liver Disease – When there is the storage of too much fat in the liver, it leads to non-alcoholic fatty liver disease in the people who consume little to no al-cohol. Budd-Chiari Syndrome (BCS) – BCS is a rare liver condition which results from the obstruction in the hepatic veins. Fibropolycystic Liver Diseases – In this group of congenital disorders, there is the for-mation of lesions in the liver and the bile ducts. Here the causative agent is the abnormal embryologic development of the ductal plates. Hepatic Sinusoidal Obstruction Syndrome – The exposure to toxins and drugs is the major contributing factor towards the development of this fatal form of hepatic injury. Liver Abscess – The abdominal infections, like appendicitis and diverticulitis, trigger the formation of pus-filled mass inside the organ. Liver Tumors – The benign or noncancerous liver tumors, usually, do not pose a serious risk for health. The malignant or cancerous liver tumors, on the other hand, pose a seri-ous health risk. They can be either primary or metastatic. The first type, the primary he-patic tumors originate in the liver. 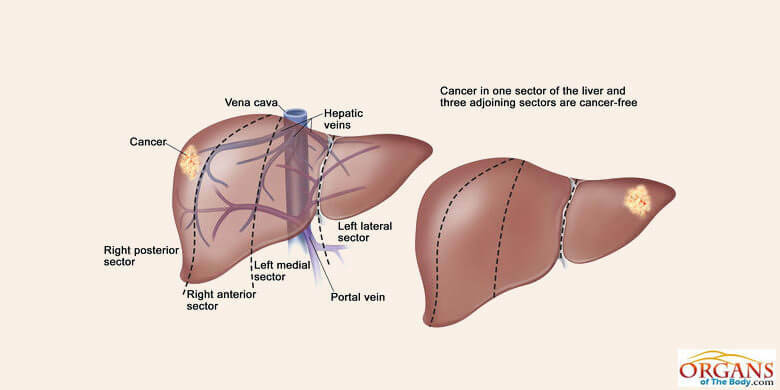 In the second type, the metastatic liver tumor, the cancer develops elsewhere in the body and spreads to the liver. Wilson's Disease – The Wilson’s disease is a rare type of the recessive autosomal con-genital disease. 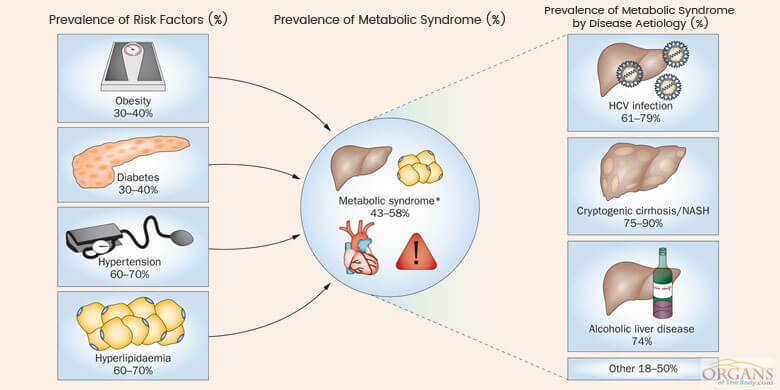 In this case, there is an abnormal copper metabolism in the body. Con-sequently, there is the accumulation of copper especially in the liver and the brain. If you do not treat it timely, the condition can also claim the life of the victim. Hemochromatosis – In this genetic disorder, there is excessive accumulation of iron in the organs, like liver. On the other hand, too much amount of iron leads to liver toxicity. It was a list of liver diseases of several kinds. A healthy diet can save you from all such disorders. Viral Hepatitis – Viral infection of liver occurs due to the attack of hepatitis B or C virus, etc. Drug-induced Liver Injury – In this type of injury, drugs cause a damage to the liver. Cholangitis (Inflammation of Bile Duct) – There is blockage in the bile duct which leads to its swelling. Alcohol Abuse – Consuming too much alcohol is injurious to the health of liver. The al-cohol addict is likely to fall victim to several types of liver diseases. Chronic Hepatitis C – The chronic hepatitis C serves as one of the major causes for the chronic liver disease. Alcohol Abuse – Alcoholism can be the cause of both acute and chronic hepatic disor-ders. 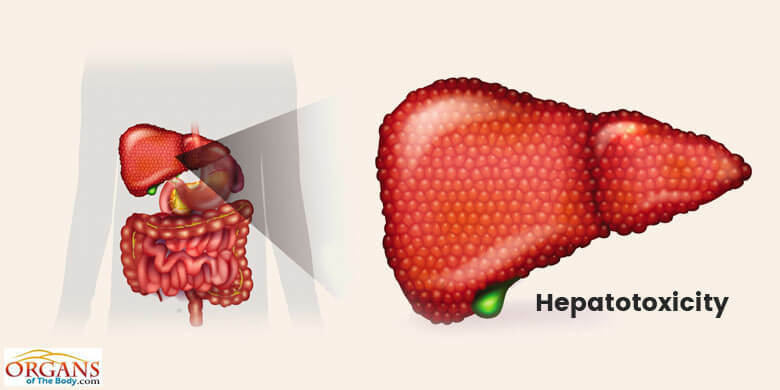 Nonalcoholic Steatohepatitis – When hepatitis does not occur due to alcohol abuse, it is called nonalcoholic steatohepatitis. Chronic Hepatitis B – This viral infection results in the scaring, failure and cancer of the liver. Autoimmune Hepatitis – In the autoimmune hepatitis, the immune system attacks and damages the liver cells and components. Sclerosing Cholangitis – The chronic liver condition of sclerosing cholangitis involves the swelling and fibrosis of the bile ducts. Primary Biliary Cirrhosis – This autoimmune disorder causes slow destruction of the small bile ducts. Hemochromatosis – As the name indicates, it involves excessive accumulation of iron in the organ. Wilson's Disease – The Wilson’s disease is the result of excessive copper accumulation in the organ. 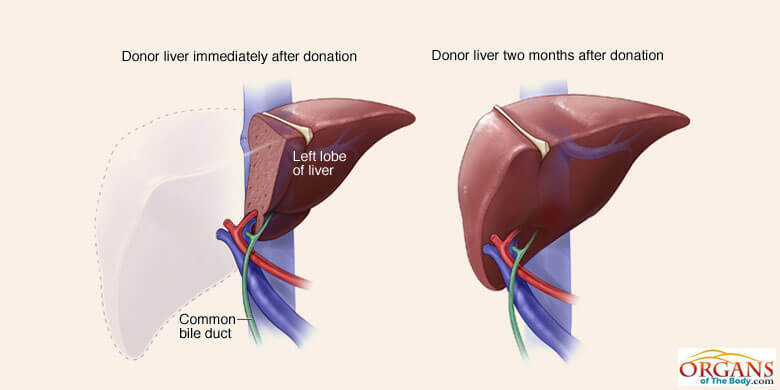 The transplant is the only choice for patients with end-stage liver disease. Surgical therapy is used to replace a diseased and damaged liver with a normal organ. It is because chronic or acute liver disease is progressive, life threatening and unresponsive to medical therapy. After the transplantation, for low risk patients, current level of success or survival rate is approximately 90% for one year and 60% for five years. But, for high risk patients especially those suffering from cancer, fulminant hepatitis, and having age more than 65, the success rate is different. The current survival rate for them is approximately 60% for one year and 35% for five years.